Hot pink is an awesome color! 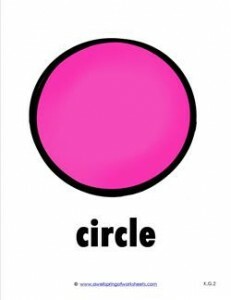 Print this plane shape circle shape card and post in your classroom or use with your kids at home. Great reference for the word “circle”, too.